Explore hidden gems such as Dinosaur Tracks and East Rim Drive. On the 18th (Thu), hike the day away at Bright Angel Trail. It doesn't end there: tour the pleasant surroundings at Rim Trail and explore the stunning scenery at Yavapai Point. To find photos, traveler tips, and other tourist information, refer to the Grand Canyon National Park tour itinerary website . 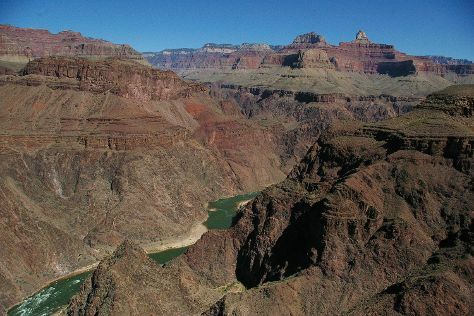 April in Grand Canyon National Park sees daily highs of 62°F and lows of 26°F at night. Wrap up your sightseeing on the 20th (Sat) early enough to travel back home.